Marin, Mendocino, Sacramento, Berkeley, San Francisco, entire Bay Area and beyond. a custom ceremony honoring your love, entirely your style. why you are getting married... what you intend to create together. A wedding ceremony is a glorious and profound experience - can be one of the best days of your life. 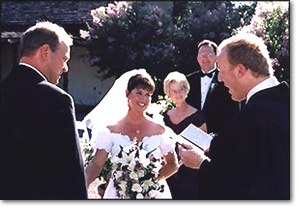 Peadar Dalton officiates weddings in the beautiful Sonoma and Napa Wine Country, the San Francisco greater Bay Area, as well as throughout the United States. 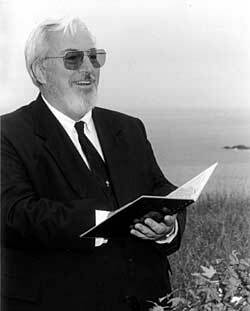 Peadar also offers renewal of wedding vows, newborn blessings, and other celebrations of significant life transitions. 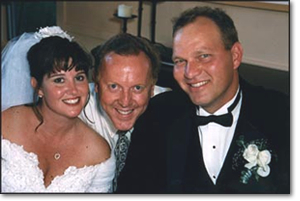 Although Peadar receives many requests from couples with Catholic background, his wedding ceremonies also include all faith traditions; and many couples share with Peadar, “we are spiritual but not religious.” Peadar honors all spiritual beliefs and cultural traditions. Very Beautiful, Old Style Catholic Church. Judith G. O'Connor is an non-denominational minister offering inspirational and customized wedding ceremonies - traditional or nontraditional, as desired by the bride and groom. In addition to officiating weddings, she offers pre and post marital counseling. Her focus is to customize each wedding service, weaving the uniqueness of the couple and their special love into the ceremony. She will perform your wedding at the location of choice, anywhere in Serving New York, Connecticut or New Jersey. Non-denominational ceremonies at the location of your choice! Reverend Dodson has become the "officiate" of choice with many wineries and private estates... and very popular with brides and grooms! Sincere, caring and patient... please visit Rev. F. Dodson's website for more information or telephone him anytime! Reverend Jean Rouas and Reverend Susan C. Smith are non-denominational ministers who will create a unique, personalized ceremony, just for you. "Our purpose is to make certain that your special day is a dream come true. We work together; one officiates at the ceremony while the other organizes the wedding party. The result is a perfect and memorable occasion." Civil wedding ceremony in your home or wherever you chose. Rates based on location and size of wedding. Web Site: www.sausalitopresbyterian.com Charming century old church, dramatic pyramid ceiling and leaded glass windows, couples of all faiths welcome. The wedding director, minister and music director will help you create a magical wedding.